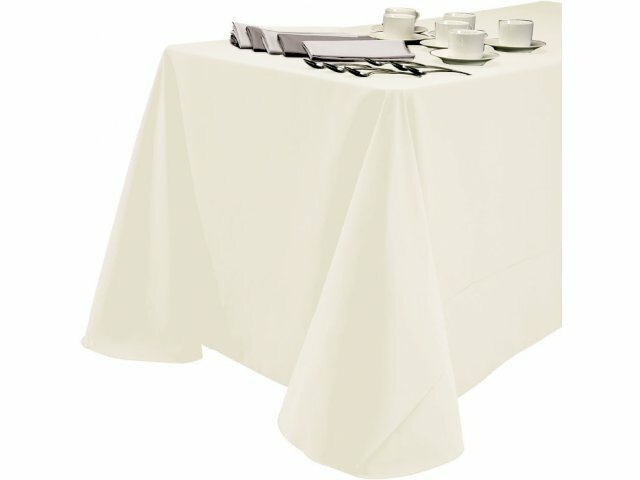 Elegant light spun poly tablecloths and napkins are suitable for all settings, from a basic dinner to formal institutional events. Add beauty to any event or special occasion with these exquisite tablecloths and napkins. Sewn from hard-wearing spun polyester, light spun tablecloths weave together the soft feel of cotton with the strength of polyester. Fabric is machine-washable and tumble-dry, making clean-up a breeze. Coordinating napkins grant a finishing touch of class to your table. Whatever your table shape or color scheme, we offer a diverse selection of rich colors and sizes to dress up your table. 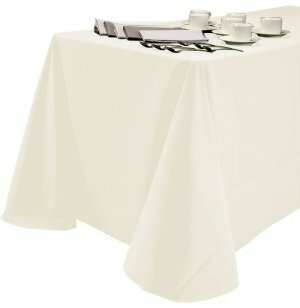 Easy Care: Tablecloths are machine-washable, tumble-dry and stain-resistant.